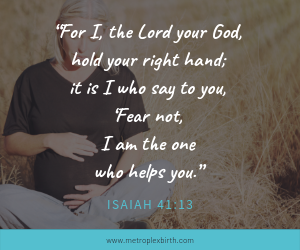 For the Christian mom, Bible verses and birth affirmations are a powerful way to prepare for a peaceful birth. 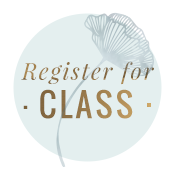 Pregnancy begins a lifelong journey of care for your child. Someone new is in the world who you love deeply even before you’ve met. So, as I mentioned in my previous post about affirmations, it can be easy for a mother to become distracted by worries or fears as she nears the end of pregnancy. But as a Christian, we don’t need to let these distractions steal our joy. The Bible instructs us to take “every thought captive” (2 Cor 10:5) and remember “whatever is true, whatever is honorable, whatever is just, whatever is pure, whatever is lovely, whatever is commendable, if there is any excellence, if there is anything worthy of praise, think about these things” (Phil 4:8). You know that the Lord, who created the universe, this child, and you is also in control of every detail surrounding your birth. Your Father in Heaven loves you just as much as He always has. In fact, He has promised to help you and never leave you. 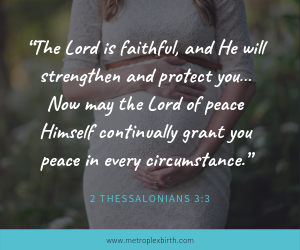 Reminding yourself of these truths through affirmations and Bible verses throughout your labor can bring the sweetest peace and strength to your birth. 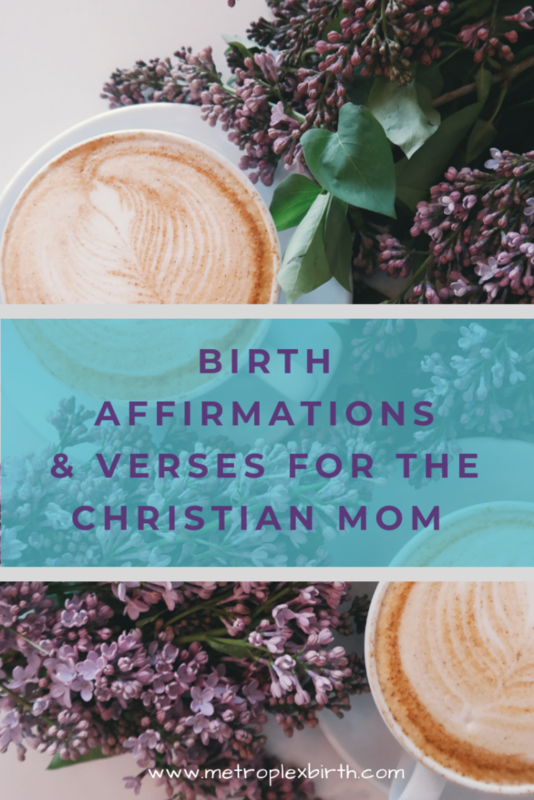 Here are a few Christian birth affirmations to inspire your thinking, followed by a list of encouraging Scripture verses, and a list of verses specifically about fears. I recommend using your baby’s name, if you’ve chosen one, in place of “my baby” in your affirmations. God has planned all the days of my baby’s life already, including this one. God hears my silent prayers and cares for my heart. I choose to rest in the peace that surpasses understanding. God has given me all the strength I need for this moment. I trust the Lord, who made my body to do this. Jesus is always with me. 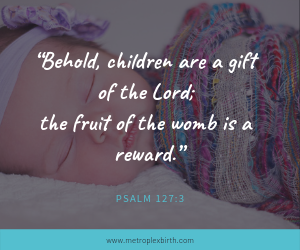 I give birth in safety, held by the Lord. God has perfectly prepared this day for my baby’s birth. The Lord strengthens me through every breath. Jesus understands all my thoughts and feelings. Lord, please take away my fears and replace them with your peace. I do not labor in my own strength. I rely fully on God. When I am afraid, I will keep my eyes fixed on You. I trust the Lord, who continually cares for me. When things seem uncertain, I rest in the Lord who never changes. God has chosen my baby to be a special blessing to our family. My Father in Heaven has prepared me for this day and given me all that I need in Him. My body is fearfully and wonderfully made. God will give me the strength to do hard things. My Father holds me in his hands and is in control of every detail. God has perfectly designed my body to give birth. People who love me are praying for me and my baby RIGHT NOW. You are my rock, my shield, my protector, my friend. Lord, thank you for this experience. I am grateful for all of it. You can’t control everything in life or in birth, but you can choose to dwell on God’s love and grace to you. You can remember the incredible way he has made you and taken care of you thus far. 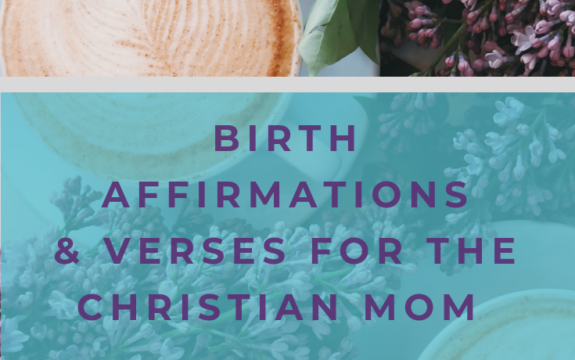 I hope these Christian birth affirmations and verses are an encouragement to you and help you enjoy the good gift God has given you on your baby’s birth day! Want more inspiration? 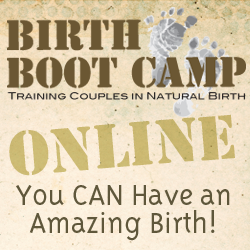 Check out my list of 50 Birth Affirmations for an Amazing Birth. And be sure to comment if you have other favorite affirmations. I’d love to hear what ideas have inspired your birth!